After rejected by the Congress, Goa’s political heavyweight has finally found shelter in the Nationalist Congress Party. He is opening his office in Benaulim on Monday, to contest from his one-time stronghold, in the forthcoming Assembly election. He took this decision almost a fortnight after his deadline served to the Congress to decide about his homecoming ended on 30th September. This was confirmed today by Goa’s NCP president Jose Philip D’Souza, for whom Churchill is his political godfather. 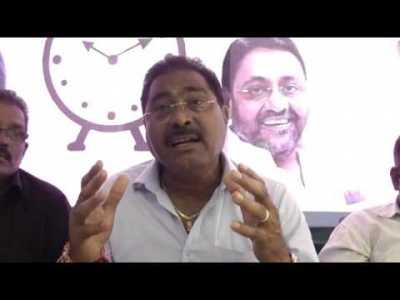 He has also claimed that NCP would win not less than four to five seats in the election, while pressing for a Grand Alliance on the lines of Bihar. “Congress is dividing anti-BJP votes by rejecting the idea of alliance. They are making a big mistake. We can together defeat this communal party and bring secular government to power”, said D’Souza. He also disclosed that ZP member Nelly Rodrigues as well as Vincent Rodrigues from Nuvem would also follow Churchill very soon. According to him, many such candidates having winning potential would join the Congress by month end. D’Souza does not look at the NCP as a major force but also insists that it cannot be neglected any more. “NCP is emerging as a major third force in Goa. Just wait and watch”, he said.